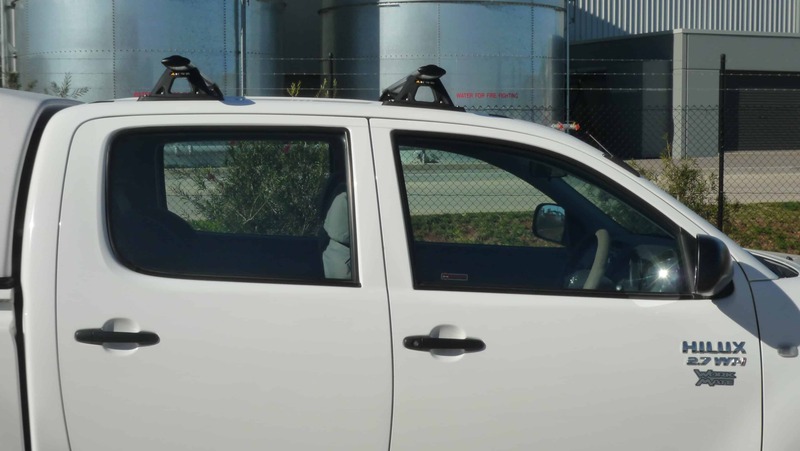 Toyota Hilux Dual Cab Roof Racks utilisesTrackmounts which are a permanent fixing on the vehicles roof. 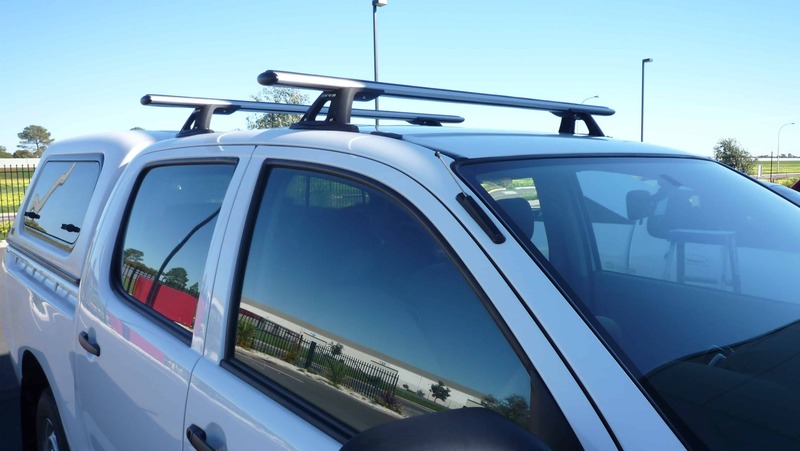 Bars slide to positions required and then are tightened. System has a unique pivoting base which adjusts to give the perfect angle for mounting the alloy cross bars. 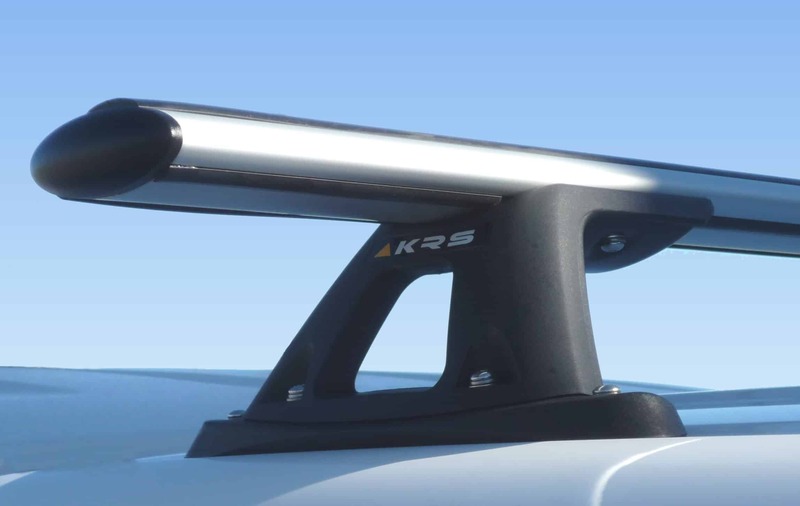 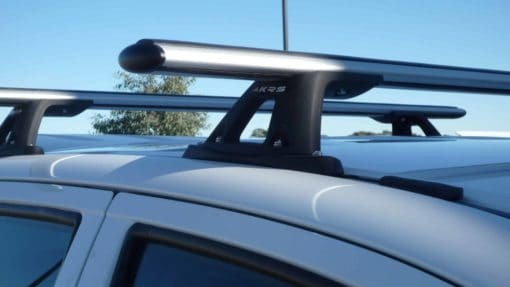 KRS Roof Racks have virtually no wind noise.